Colin Cooper has put his Qhubeka Buffalo Bicycle to good use. 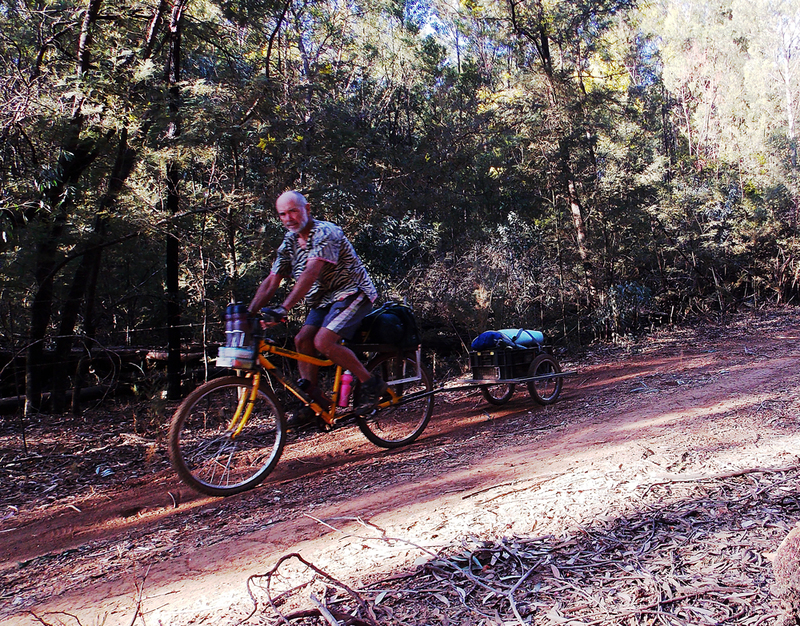 He has previously cycled a 300km ride, following the Groot Marico River, in just 24 hours with his daughter Bianca, and now the retired engineer has constructed himself a trailer to tow behind his bicycle so that he can embark camping trips with his bicycle. “I took the bicycle and trailer for a 200km camping trip two weeks ago,” he says. “This was an unsupported trip. I carry all my camping gear, food and clothes on the bike and in the trailer. 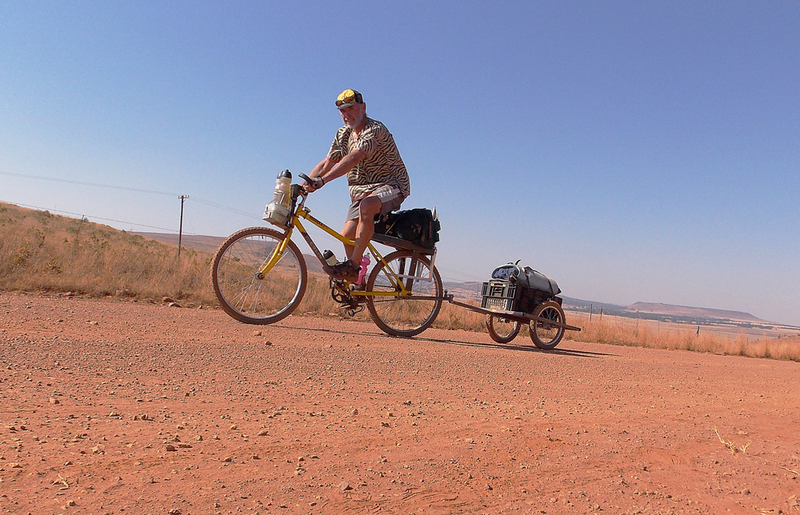 The whole combination of bike, trailer and kit weighs 55kg, so it was a mission to pedal on the uphills. 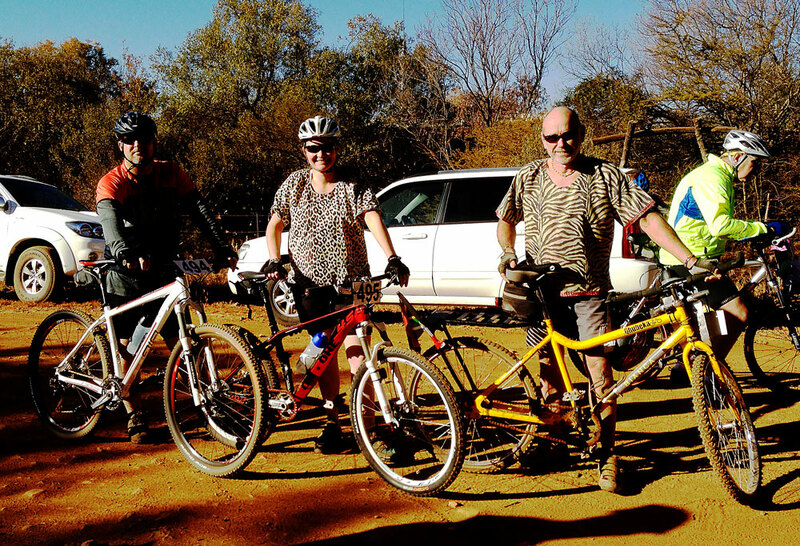 Colin has two Qhubeka Buffalo Bicycles and has modified both. We plan to showcase what he’s done soon in a “Pimp by Bike” post. Until then, here are some photos of Colin and his bicycle with trailer.